The networked tuner builder discussed DVR delays, new hardware, and a semi-secret exchange program at CES 2017. While other cord-cutting companies put together flashy product announcements for this year’s CES tradeshow, SiliconDust is working at its own pace. The maker of HDHomeRun networked tuners recently turned 10 years old, and while it’s not a widely known consumer brand, it’s quietly built up a healthy business by making antenna and cable signals easier to access. This year could be the company’s biggest yet, as cord cutting grows and the antenna makes a comeback. Today, HDHomeRun let you stream over-the-air or cable feeds from one area of the house—wherever your wireless router is set up—to other devices through HDHomeRun’s apps. Recording those video sources for later viewing has traditionally been trickier. In April 2015, SiliconDust announced its own DVR solution, which can record content onto a PC, Mac, or NAS box. Two years later, the company is still polishing the software (though users can buy early access to development builds for a flat $60). Theodore Head, SiliconDust’s President and CEO, said the final version might be ready by the end of this quarter, though he makes no guarantees. The company is still working on “little nuggets that need to be done,” such as closed captioning, emergency alerts, and bug fixes. 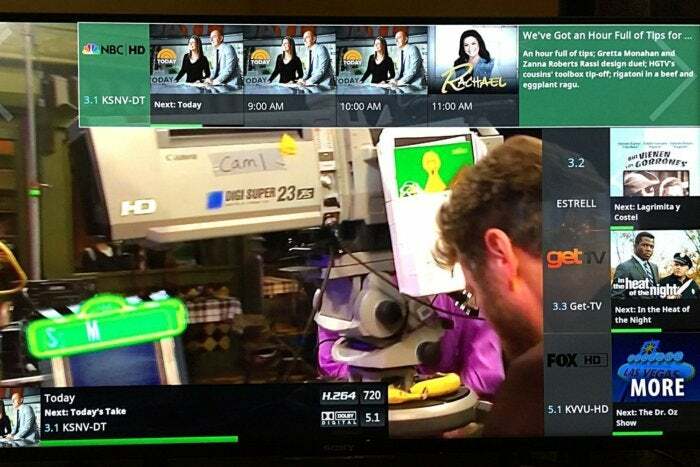 The “slice view” that shows the next few upcoming programs from a recent channel is one of HDHomeRun’s recent software improvement. “We want to make sure when we issue something out, we’re doing right for the customer,” he says. DVR aside, HDHomeRun’s biggest issue is limited app support. Native apps are available for Android, Android TV, Xbox One, and Windows, but not for Roku, Amazon Fire TV, Apple TV, or iOS. Some of these platforms offer third-party clients (such as the excellent Channels for Apple TV and iOS, and InstaTV for Fire TV), but they cost extra and have different interfaces. SiliconDust has developed a Fire TV app, but Head says the approval process has been daunting, especially because the app relies on additional hardware to function. The company might also look into an Apple TV app in the future, but Head didn’t give a time frame for that. “Multiple times, they’ve said to us, ‘we’re never going to do this, stop asking,’” says Edwin Kim, SiliconDust’s vice president of products. Occasionally, readers ask me what’s the difference between the HDHomeRun Connect and the more expensive HDHomeRun Extend. I’ve been a bit fuzzy on the answer myself, so I asked Head and Kim for a plain English explanation. The technical difference is that the HDHomeRun Extend supports hardware transcoding, while the cheaper HDHomeRun Connect does not. In practical terms, that means the Extend doesn’t use as much bandwidth, so SiliconDust recommends it if you’re streaming video over a slower Wi-Fi router, such as one that uses the 802.11n standard or older. The Extend will also use less storage for DVR recordings. That said, the Connect doesn’t prevent wireless streaming, and it supports DVR. So if you have ample storage space, and plenty of spare bandwidth on an older Wi-Fi network, the Connect could work just fine. What’s SiliconDust working on next, beyond DVR? The company plans to launch a new version of the HDHomeRun Prime—which uses CableCARD to receive cable channels—with more than three tuners. 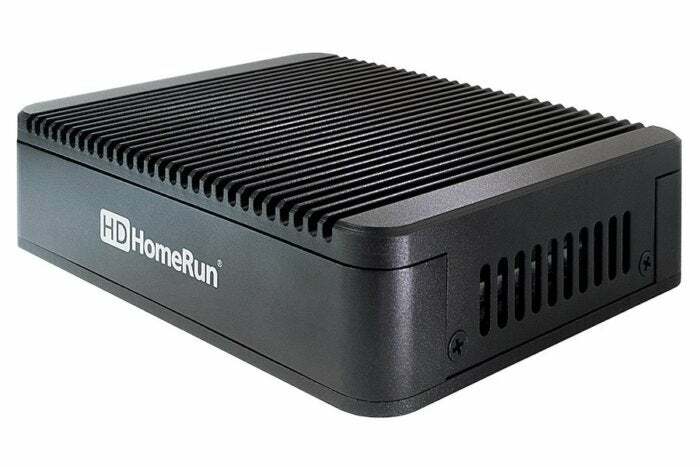 The HDHomeRun Connect is likely to remain as it is, as will the HDHomeRun Extend, which got upgraded last year with a fanless metal enclosure. Speaking of which, SiliconDust has been quietly running an exchange program for users of the older HDHomeRun Extend. For $30 plus outbound shipping, the company will remove the fan—which can get noisy—and put in a heat sink, effectively turning the old model into the new one. There’s no official webpage or sign-up form for this program, but Kim says owners can email support@silicondust.com or sales@silicondust.com to make the switch.